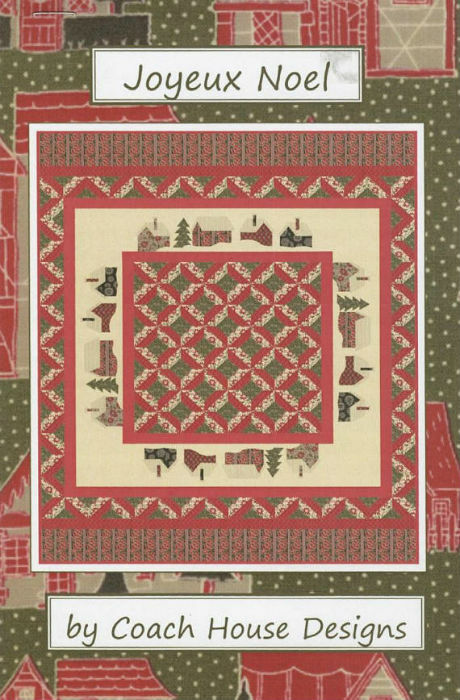 Joyeux Noel Quilt Kit includes Moda's Petites Maisons de Noel fabrics for the quilt top and binding, as well as the quilt pattern from Carriage House Designs. 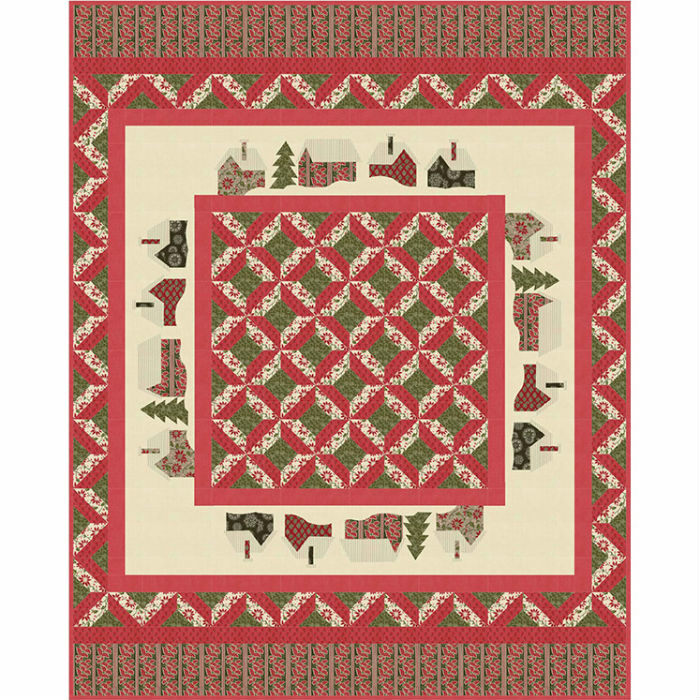 This is an elegant winter lap quilt to decorate your sofa and keep you warm. Finished size is 64 x 80 inches.